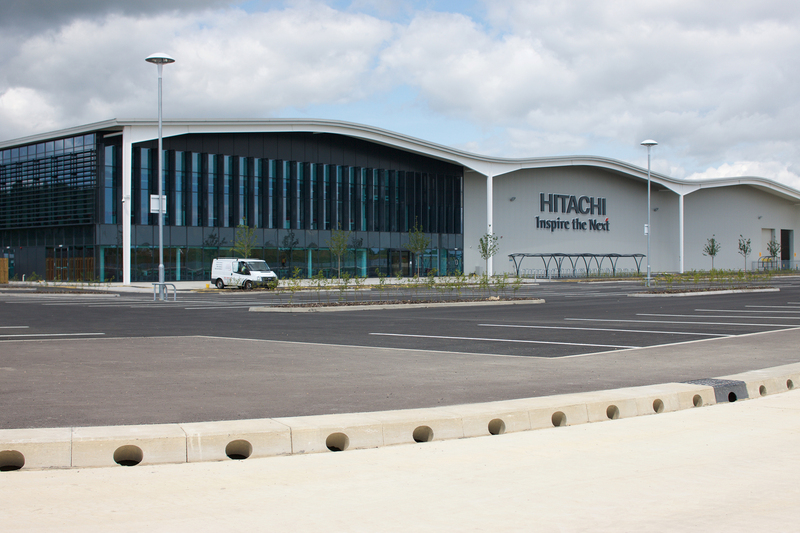 Hitachi’s first train factory in Europe is located at North East Technology Park (NETPark) County Durham and has been built to support the DfT-led Intercity Express Programme and future Hitachi Rail projects. The 43,000m² development is a central part of an £82m investment to create a state-of-the-art manufacturing hub in the North East of England. The decision to manufacture and assemble rolling stock at these premises is a fundamental building block in Hitachi Rail Europe’s strategy for growth. An essential part of the day to day processes at the site involve large, heavy vehicles entering and exiting, requiring high load bearing classifications and vehicle containment solutions. The location is sited on an extensive, largely flat surface area, requiring suitable drainage solutions for safety and longevity. 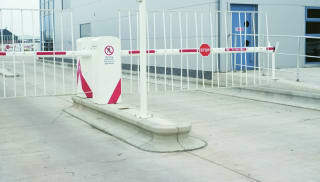 In addition, pedestrian areas around the factory also required a safe, aesthetically pleasing solution. Marshalls Saxon natural paving was chosen for the pedestrian areas bordering the front façade of the Client: Hitachi Rail Europe Contractor: Shepherd Construction Products Used: Saxon Paving, Titan Kerb, Beany Block Linear Drainage, Kerbs and Edging building and for pathways leading to the service areas. 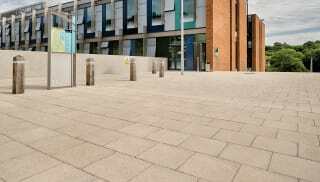 This cost-effective and functional tactile paving material is appropriate for all schemes and is available in an extensive choice of size and thicknesses. 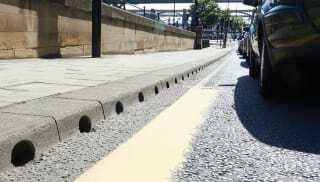 Standard kerb was also used as drop kerbs to facilitate wheelchair access from disabled parking bays. Marshalls Beany kerb and drainage and standard kerb were specified for the car parking areas, with standard kerb used as a delineator around planted divider sections. Beany Block was also installed on the perimeter road leading to the car park, providing a medium to high capacity combined kerb and drainage system offering effective surface drainage and large flow capacities. 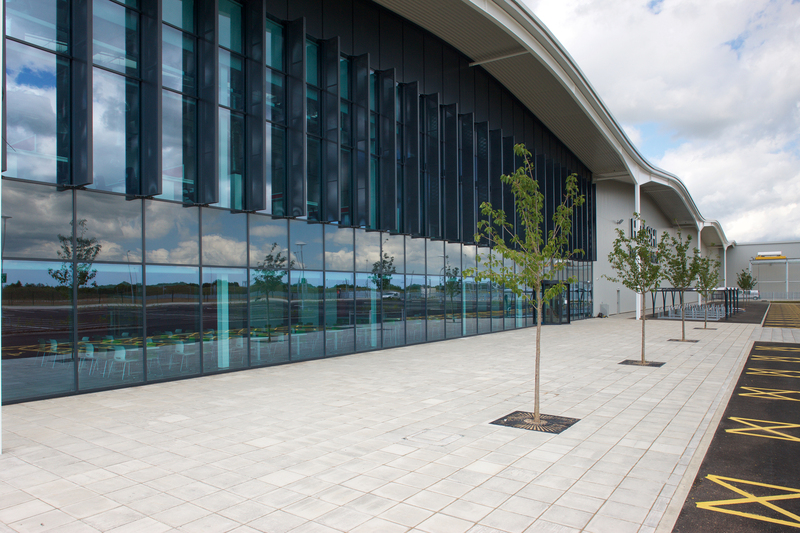 To manage with the volume of deliveries associated with this site, Titan Kerb was selected for the gatehouse entrance and services. Titan is a specialist vehicle high containment kerb system designed to redirect vehicles on to their intended path and prevent the overrun of vulnerable areas adjacent to the carriageway. In addition to providing a practical yet aesthetic solution for the building frontage, Marshalls products have played an important role in safety on the site, improving surface water drainage and using Titan Kerb to contribute to passive traffic control, creating traffic segregation ‘pinch points’ and protecting pedestrians.